The Plastic IEM housing lacks premium feel. Midrange is not entirely clear. 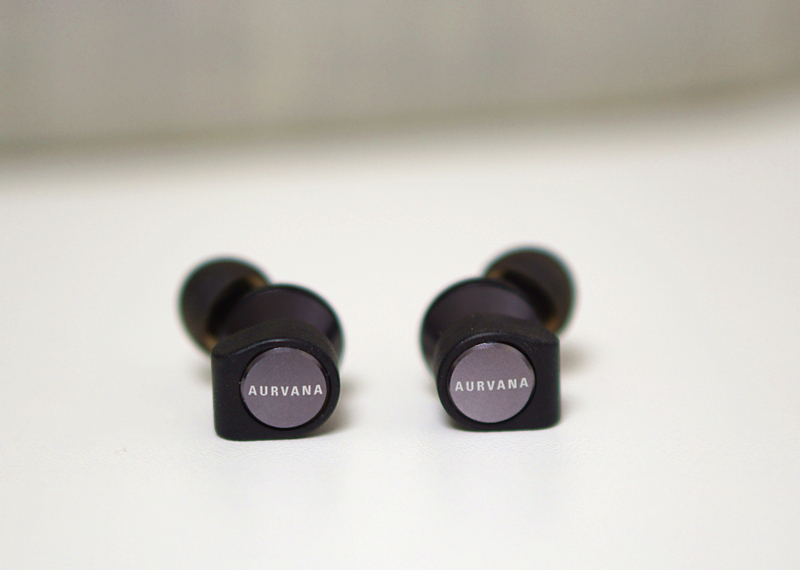 Creative Aurvana headphones are known for their high audio quality and moderate prices. 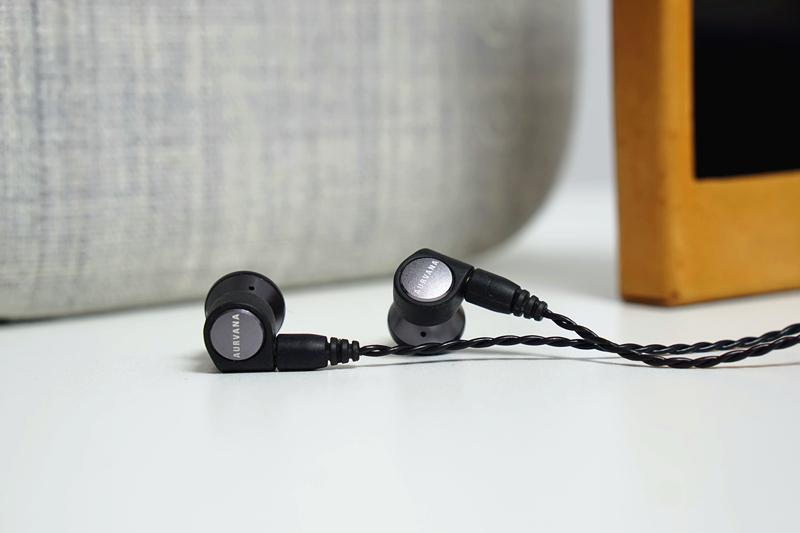 The Aurvana Trio IEM, which has been equipped with triple drivers, is the latest offering of this Singaporean audio brand. 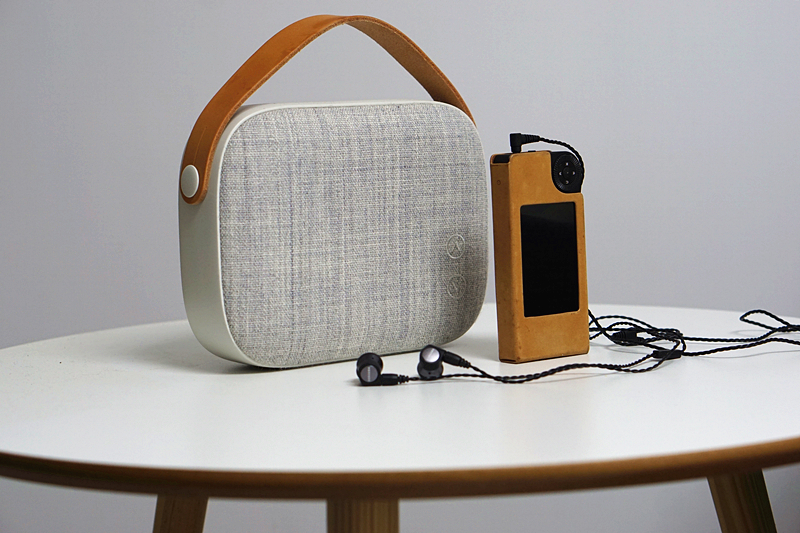 The retail package of the Aurvana Trio is simple and straightforward. 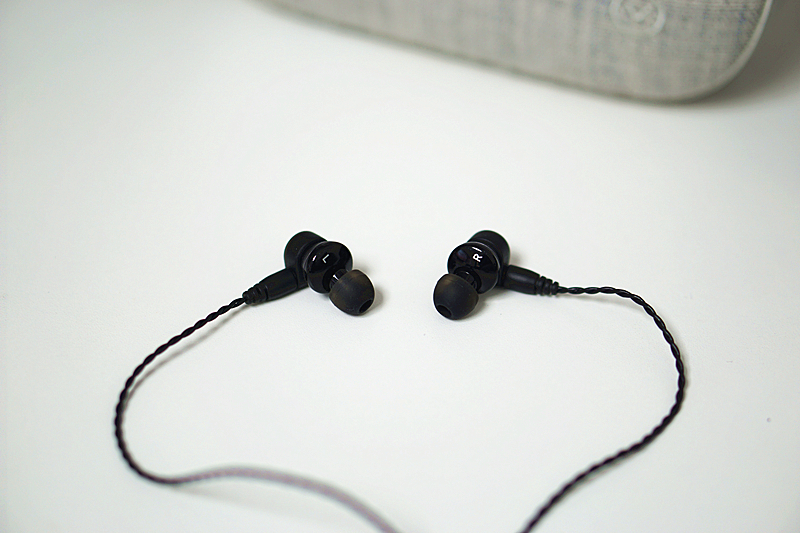 The transparent plastic box allows consumers to see the earbuds without unboxing. While the package lacks the extravagant appeal of the likes of 1more E1001 Triple Driver and many other high-end Chinese headphones, it still feels particularly refined. 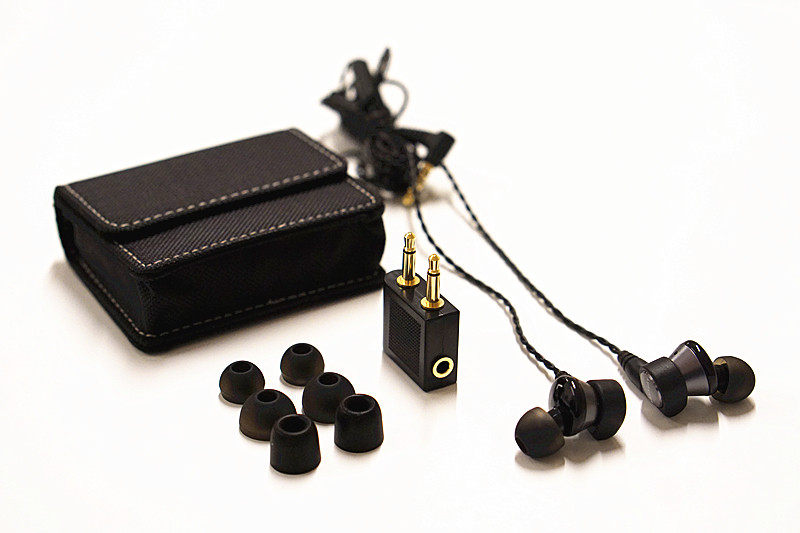 Opening the box and you will find the Trio IEM, three pairs of eartips (2 pairs of silicone rubber eartips and a pair of foam eartips), an aviation plug, a carrying pouch, a user manual and a warranty card. 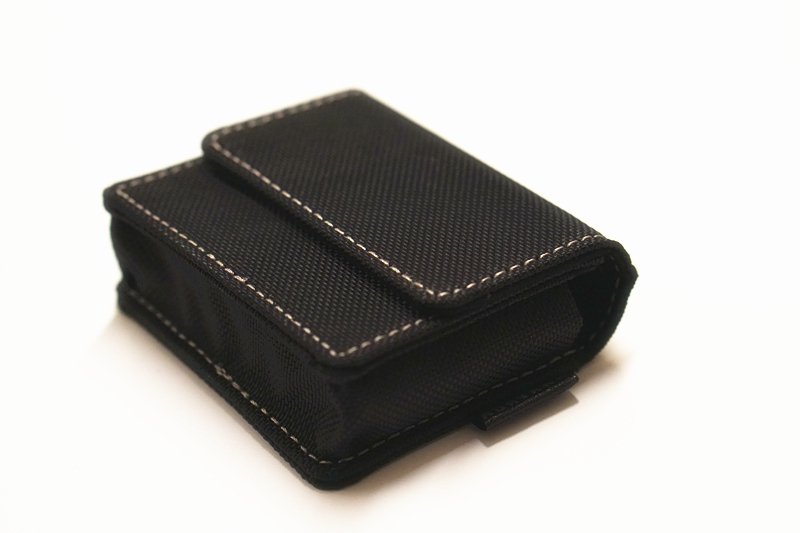 The carrying pouch of the Trio looks quite cheap compared to the leather case and bag respectively offered by the 1more E1001 and the Astrotec AM850. 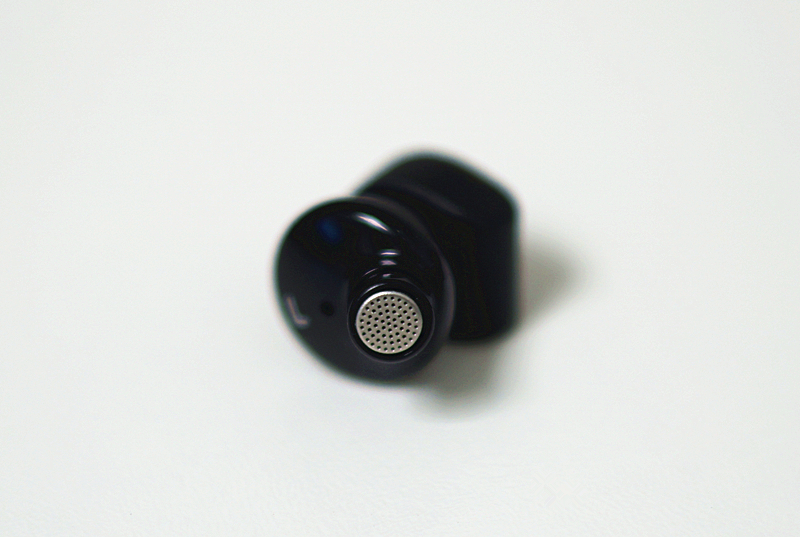 The Trio is probably the first IEM from Creative Labs to have a detachable design. Despite of having a 10mm dynamic driver and two balanced armatures inside, these Aurvana Trio earbuds look pretty normal in size. According to the diagrams of Trio, only the dynamic driver is placed inside the cavity, the balanced armature drivers are actually placed in the tube. 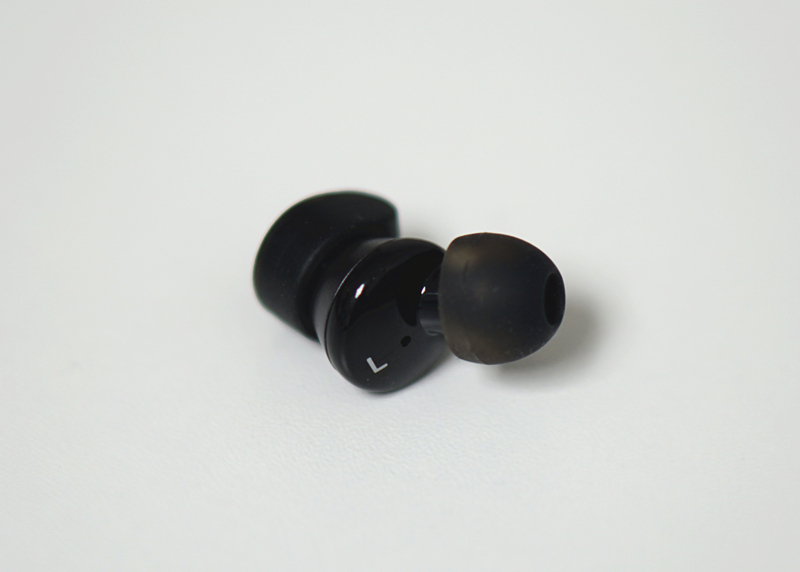 The IEM housing, as refined and solid as it seems, is mainly made of plastic. As a result, the Trio lacks the kind of premium feel of the 1more E1001 and Monster Turbine, both of which have a metallic build. 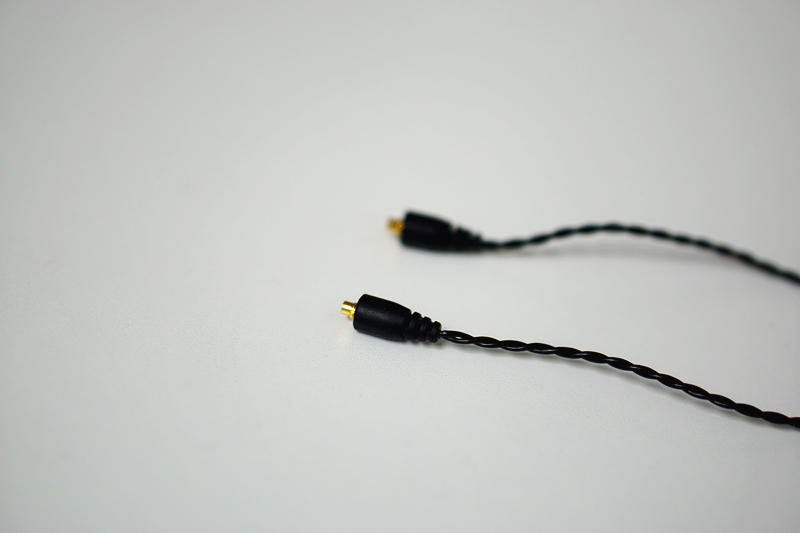 The stock cable that comes with these earbuds is a two-core wire which, fortunately, is not easy to get tangled. 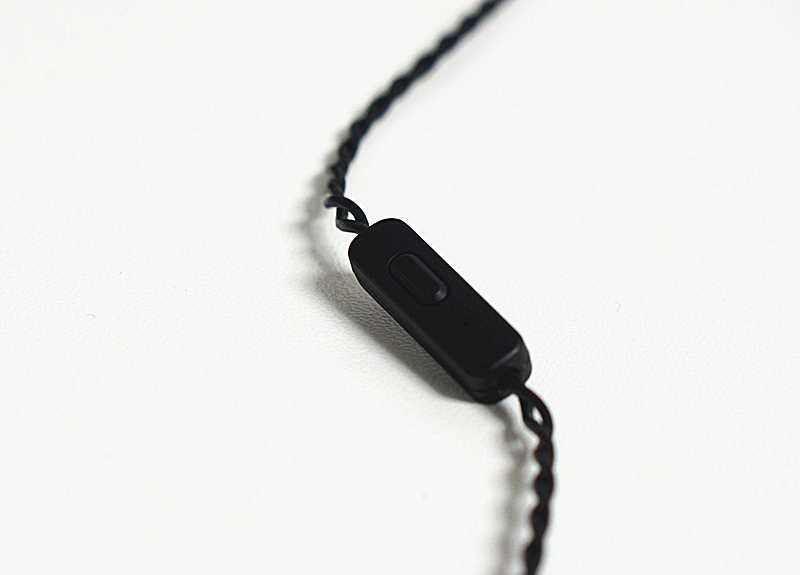 There is also a single-button remote located on the right side, which allows users to answer or hang-up a phone call. 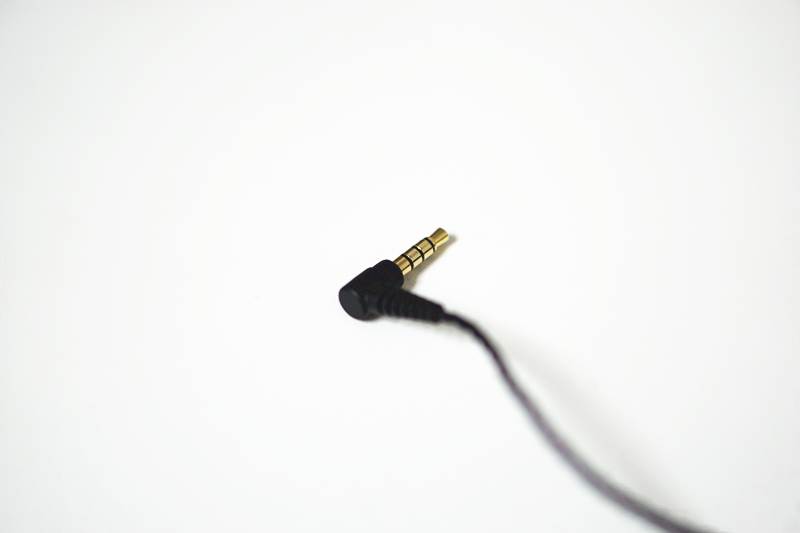 There is an L-shaped 3.5mm plug at the end of the wire, which is still compatible with most smartphones and portable players. As the newest Apple iPhones dumped the headphone jack and many brands were following the trend, the number of users who will need adapters to use the Trio is on the rise. These Aurvana Trio earbuds are lightweight, the right-sized nozzles and soft ear tips fit into my ears comfortably, I can wear them for hours and won’t feel any amount of burden. Thanks to the ergonomic design, once I inserted the eartips into my ears, the headphones wouldn’t fall out easily, I even wore them in gyms and during jogging. The isolation of the Trio is incredible, probably the best I have experienced from headphones without active noise cancelling. It could passively seal out most of the sound from the surroundings. But when you are on a noisy morning bus or in a gym where there is music playing from those loudspeakers around you, you do need to tune the volume all the way up to drown out the unwanted sound from the environment. Troye Sivan – My! My! My! The Aurvana Trio has a sensitivity rating of 103dB/mw and an impedance of only 16om, so it is quite easy to drive, and should work fine with most smartphones and portable audio players. I tried the Trio on my Samsung S7 Edge, which normally struggles with high-end headphones, but it had no problem driving the Trio to an earsplitting level when given enough volume. With that said, the sound did come out stronger when I plugged the Trio into the Hi-Fi oriented vivo X20 smartphone and Shanling M5 digital audio player. When it comes to audio quality, the Trio has a very balanced and realistic sound in general, the sound profile is definitely more Hi-Fi than musical. Songs across a variety of genres sound relatively neutral and clean. The harsh bass and treble boosting prevalent with many dynamic headphones are non-existent here. It is not difficult to notice that there is a moderate emphasis on bass on the Trio, especially when you compare it with the 1more E1001 Triple Driver, which has been criticized by many over the lack of bass presence. The Trio has a bass that is deep, strong and punchy, but never boomy. Compared to Hip-hop oriented IEMs such as the Beoplay H3 and Monster Turbine, the Trio’s bass sounds a lot more realistic and textured. Bass-heads will probably find the low-end on the Trio not big and fat enough, but audiophiles would definitely appreciate the rich intricate details. The midrange is where the Trio really sets itself apart from similarly-priced dynamic in-ear monitors. It is full, balanced and detailed. Vocals and instruments sound extremely natural, although I do feel it lacks the level of clarity and crispness offered by the 1more E1001 Triple Driver. Also, the E1001’s slightly warmer tonality may be more appealing to certain listeners. With that said, the Trio’s imaging is more 3D when compared with the E1001, so it does a much better job at separating and positioning vocals and instruments. Both IEMs are not entirely immune to sibilant, and in my opinion the Trio arguably suffers a little bit more than the E1001 does. Both the Beoplay H3 and the Monster Turbine have a rather recessed midrange, and the dominant low end could easily bleed into lower mids, making the vocals sound slightly veiled. The treble on the Trio is a shade darker than the treble on the 1more E1001. Listening to Maksim Mrvica’s violin piece “Croatian Rhapsody”, I could feel that the E1001 brought out more energy from the track than the Trio did. But when it comes to smoothness and dynamic, the Trio is streets ahead of the 1more hybrid. Unlike those entry-level multi-driver IEMs, the Trio actually sounds quite coherent, the dynamic driver and the 2 BA drivers work extremely well together. The bass, midrange and treble are seamlessly inter-connected with one another to create a cohesive, full-bodied sound. 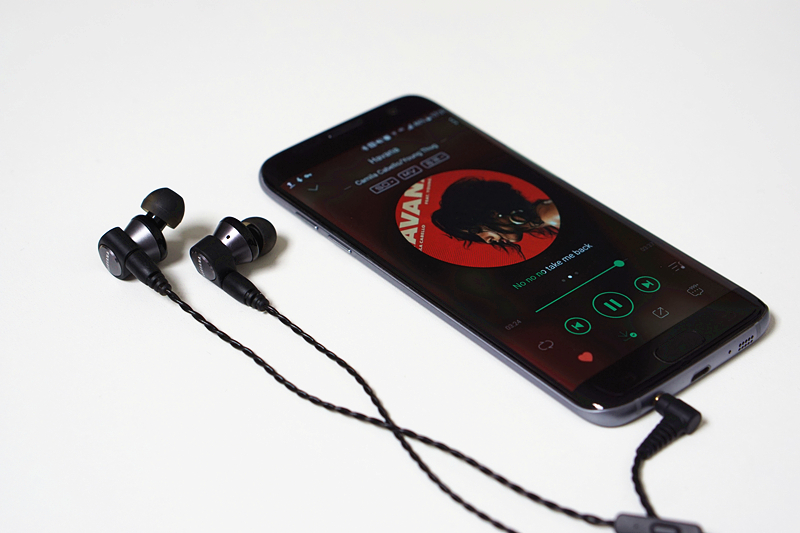 Some may argue that the Trio’s tuning is too neutral that it lacks personality and excitement, and greatly deviates from older Aurvana headphones, which are known for the emphasis on vocals, especially female vocals. In my humble opinion, the Trio works best with music lovers who don’t stick to a certain genre. For bass-heads or treble-heads, there are many headphones with intense sound colorations to satisfy your needs. While many may criticize that the plastic build of Trio lacks in style and premium feel, it definitely makes up for these flaws in sound quality. Priced at $149.99 on Amazon, the Aurvana Trio is marketing towards audiophiles who can’t afford high-end hybrids such as the AKG K3003, yet find entry-level multi-drivers such as the 1more E1001 too amateur. 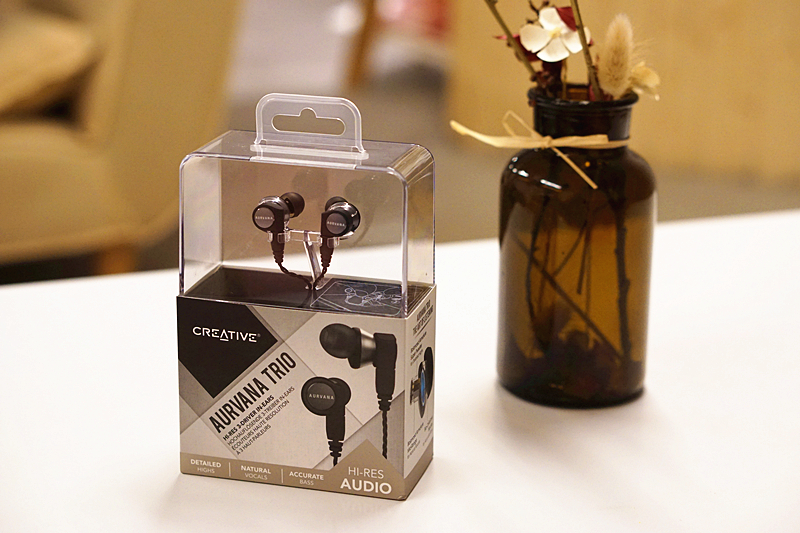 If neutral and realistic sound is what you are looking for, you won’t go wrong with this all new IEM from Creative. A gadget enthusiast and die-hard Android fan from Mainland China.